You’ve probably lost a ball or two out on the golf course, wondering where you hit it. You’ve spent several hours on your hands and knees digging through brush, and wandered in between trees. You’ve probably wondered how your ball didn’t go as far as you thought. Good thing there is are rangefinders that can help you find your ball when you hit it off course. The Bushnell Tour X Rangefinder is one of the best rangefinder you can get. It has the technology that will help you locate your ball, no matter where you hit it. Here is why you should consider getting this rangefinder for all your golf outings. The exchange technology is ideal for playing tough courses. It offers the slope of the range when you’re looking through the scope. The slope can turn on and off for when you need it the most. Though the exchange technology can give you an edge, it is still tournament legal. 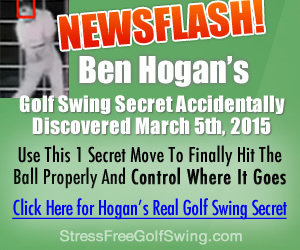 You can use it on any golf course you want to tackle. You can line up your shot without having to guess how much you need to account for the slope. The dual display technology allows you to toggle the display. You can choose a bright red display or a crisp black display to help you see the course better. The dual display works for any amount of lighting, even when it’s starting to get dark out. You can set the display to your personal preference, allowing you to maximize your game, and lower your golf score. It’s ideal for playing first thing in the morning or late in the afternoon. Tired of not knowing how far away the pin is? Now you can find the pin easily with the pinseeker. It combines with the JOLT technology to provide the feedback you need to get close to the pin. You can lock onto the flag and determine where you need to aim your shot, and then let it fly. The flag will look huge when you’re viewing it through the pinseeker function. The rangefinder features a 2nd generation E.S.P. function to help you with the yardage. It works faster than on older models to get reliable feedback for every shot. It produces more accurate yardages to help you assess your shots to get close to the pin with every shot. It is the most extreme, fastest, and most accurate rangefinder available. You’ll be knocking down your shots easily when you have this rangefinder in your bag. The rangefinder has a 6x magnification range for accuracy. You can set it to zoom in as close as 5 yards, and zoom up to 1300 yards. It is accurate up to +/-0.5 yards to get you as close as possible. It can square up your shots to hit the flag over 450 yards. It is rainproof, as well, allowing you to take it out when there is a light mist hanging in the air. Q:Does the carrying case hold everything? A: Yes, it does. It can hold the extra face plate and battery. You want to be careful how you store it away so it doesn't get scratched or broken. A: The battery should last a while. It is a Lithium-ion battery, and it charges. Depending on how long you’re playing, and how often you use it, you may need to recharge it quite a bit. Q:Is there a GPS on the device? A: No, there is not. It only determines the range between shots and hazards. If you’re looking for a rangefinder, this is an excellent option. It can do everything you need it to do, and then some. It may shake when you’re looking through the rangefinder, but if you have a steady hand, you won’t even notice. It’s an excellent rangefinder for a competitive or weekend golfer. It is legal to use in competitions, which is ideal for any golfer. Buy it On Amazon Now !